The large drop in oil prices will change the future of our climate, experts claim. If oil and gas consumption does not go down, we are bound to see the melting of ice caps and glaciers with the consequent sea level rise and an array of climate disasters by 2050. Experts and environmental NGOs are certain that now is time to get rid of the oil addiction and to take advantage of the current negative economic situation. 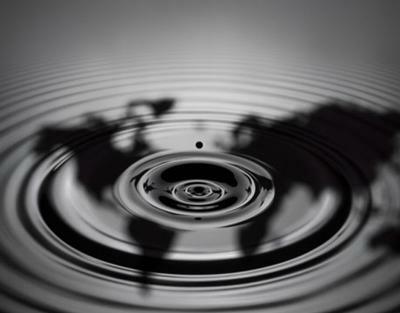 The almost 50% drop in oil prices became a shock for the economies of oil exporting countries. Russia, Iran, Venezuela, and Nigeria are among those most affected by the fall. It is worth mentioning that a lower price did not make oil more affordable for consumers. ‘The oil will not be cheap at any price, while the exporting countries keep disguising their expenses to support an outdated energy source’, analysts say. In his recent NY Times article, Thomas Friedman, an acclaimed author, reporter and recipient of three Pulitzer prizes, names a few key green events that seemed to have marked the shift from debate on climate change to action in 2014. Those four events are a drought in Sao Paulo, Brazil, the U.S.-China Joint Announcement on Climate Change and Green Energy Cooperation, the drop in solar panels production costs, as well as the energy saving efforts by Google, Apple and Facebook. However, he continues, ‘World crude oil prices collapsed, making it less likely that the world will do what the International Energy Agency (IEA) recently claimed necessary: keep most of the world’s proven oil and gas reserves in the ground. As the IEA warned, ‘no more than one-third of proven reserves of fossil fuels can be consumed prior to 2050’ — otherwise we’ll go well past the limit of a 2-degree Celsius rise in average temperature that scientists believe will unleash truly disruptive ice melt, sea level rise and weather extremes,’ writes Friedman. One of the solutions to end the economy’s oil dependency, according to experts, may be the introduction of carbon taxes. As an option, this could imply raising the gasoline tax in the first place. Rhea Suh, President of the U.S. Natural Resources Defense Council and a former assistant Secretary of the Interior, claims there has to be more investment into energy efficiency and low-waste technologies. According to Ms. Suh, we should be able to get more power from the wind and the sun. We also need to understand that the fall of oil prices and the diversification of resources have to be regarded as powerful tools for the world market development. Some experts see the collapse of oil prices as a blow to renewable energy sources that are losing investments due to the global economic instability. The analysts behind Bloomberg New Energy Finance, however, respond that, in reality, the situation does not have such a dramatic impact on renewables, and the effects vary according to the region and the type of renewable energy source in question. In the past five years, an average of $266 billion per year have been spent on renewable energy development globally. The analysts forecast that total investments in creating new clean energy generating capacities in 2015 are not going to reach those numbers again. Nevertheless, they claim that the situation will have a favorable effect on the state of the art of renewables already by March this year. Christine Lagarde, the International Monetary Fund Managing Director, says that the falling oil prices are positive for the global economy as a whole, though they may hurt individual commodity exporters. ‘Assuming we have a 30 percent decline (in oil prices), it's likely to be an additional 0.8 percent (in economic growth) for most advanced economies, because all of them are importers of oil,’ Lagarde said, mentioning the United States, Europe, Japan and China in particular. The fall of oil prices hit our economy hard and disrupted the existing energy development trends. However, the expert are unanimous that it is just the right time for countries to shift their priorities. There is the only way – we have to make hard political choices to safeguard the climate and guarantee a decent future to our countries and our children.